We provide positive energy for a better quality of life, the welfare of society, and the environment. We take actions in spreading awareness and consulting about the efficient use of energy as well as protecting the environment, supporting local communities, helping educational institutions and projects, caring for our current and retired employees, nurturing cultural and technical heritage, and supporting artistic activities. For more than thirty years our colleague Marko Piko has been visiting kindergartens and schools as Electrician Piko in order to present efficient energy use and the electrician profession in an interesting and entertaining way to more than 9,000 kids. He also organizes intriguing visits to substations, hydroelectric power plants, or the Old City Power Station, and shares his knowledge on electric power with young people. For high school students on the other hand we organize workshops on saving electricity, where they get introduced to the possibilities various devices offer for saving energy by measuring their consumption. We give them practical advice on how to save energy in school and at home, and inform them about efficient energy use, while also introducing them to e-mobility, how electric vehicles work, and developments in this field. Our infrastructure is also home to certain bird species. Therefore we make sure they have conditions for safe nesting without accidents by insulating the exposed parts of overhead lines and parts of devices within our facilities. Special concern goes to white storks, which are a vulnerable species due to lack of proper habitat, and are therefore protected in Slovenia. They tend to nest in locations where they can be under threat or pose a threat to electricity distribution. We help in moving these nests and making sure they and their offspring have a safe home. There are approximately 40 nests in the area we cover, with a noticeable increase in their population. With the help of The Institute of the Republic of Slovenia for Nature Conservation we intensively collaborate by offering technical support in saving their nests (we provide nests and brackets, and also set up new nests), as well as in ringing or tagging storks in Dolenjska and Bela Krajina regions. Society is not only driven by culture, but it also represents our united history. It follows, then, that supporting cultural and artistic activities means that we are taking care of our future, while also maintaining technical history by protecting industrial heritage. The Old City Power Station (is one of the rare preserved cases of industrial architecture in Slovenia. Its construction began in 1898 and over time it went through many changes to keep in track of time, all until the end of the Second World War. In the 80s it offered shelter to many young artists, who continue to use its facilities to this day. It also became the place where the Young Lions (Mladi Levi) international festival is held every year. The Old City Power Station became a unique example of how to join space for young artists and business activities under one roof, since it is still a location of Elektro Ljubljana's distribution management center offices. In collaboration with the Ministry of Culture, the Municipality of Ljubljana, and the Institute Bunker it also became a space where art shows and educational and other events take place. We make it possible for everybody who wants to organize an event in this unique historical place to rent the hall. I want to know more about renting the hall. 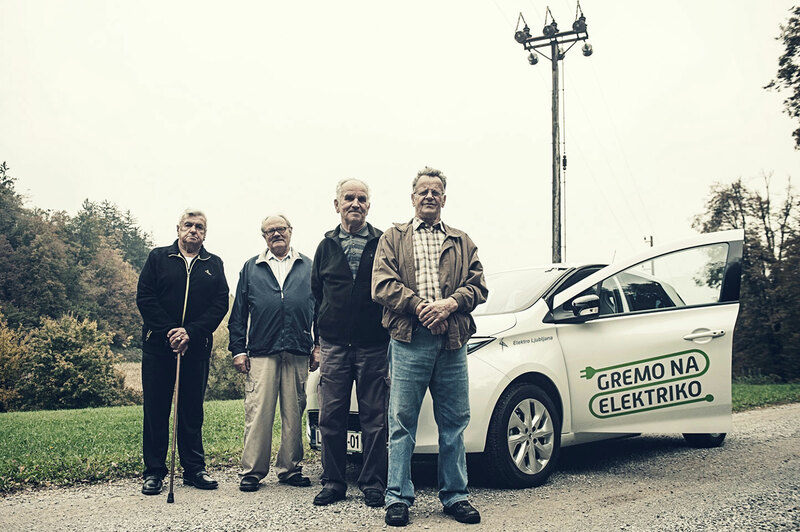 We have been supporting the Elektro Ljubljana Pensioners Association since the outset. Besides organising events with our former employees, we ensure they are regularly informed about happenings in the company and receive or even contribute to our internal newsletter. In this way they can stay in touch with the company in which most of them spent an important part of their lives. We support humanitarian, cultural, social, and sport events with material and financial support, and try to help with donations to as many as possible, especially children and those in need.